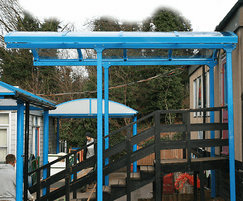 Thurrock Borough Council needed a bespoke shelter at Quarry Hill Primary School in Grays. They wanted a shelter that could cover the stairway between a classroom and an existing canopy. 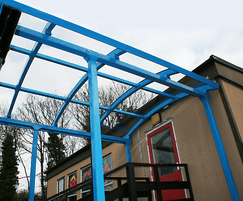 Manufacturers of the existing canopy were unable to offer a shelter suitable for the application. Autopa provided a bespoke canopy within the council's budget. It was manufactured from galvanised mild steel with PET glazing.